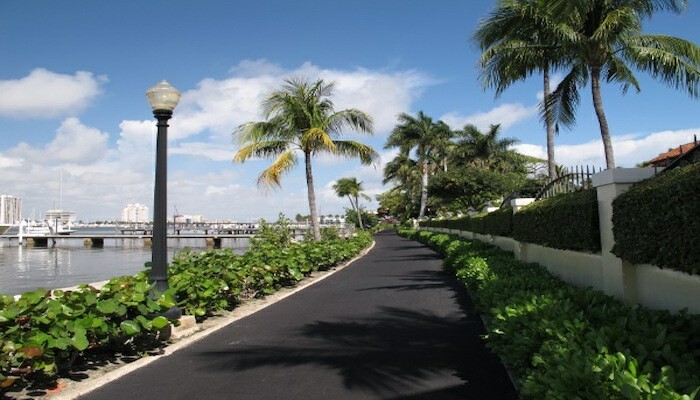 This route combines a couple of our other famed Palm Beach runs, with some added oceanfront sections and an optional jaunt out to Everglades Island. Start at the intersection of Worth Ave. & South Lake Dr. Take the Royal Park Bridge, and then run the beautiful waterfront path along S. Flagler Dr. for 2 miles, heading south. Cross back over to Palm Beach using the bridge over Bingham Island along Southern Blvd. (decent pedestrian walkway). 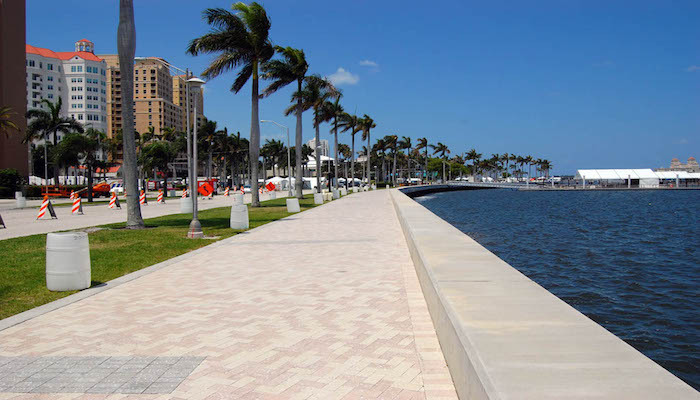 Then run back north along S. Ocean Blvd., enjoying the great water views and stately homes. Head back up west along Worth Ave. or one of the pretty, residential side streets (Peruvian, Brazilian, etc) to S. Lake Dr.
Everglades Island Option. 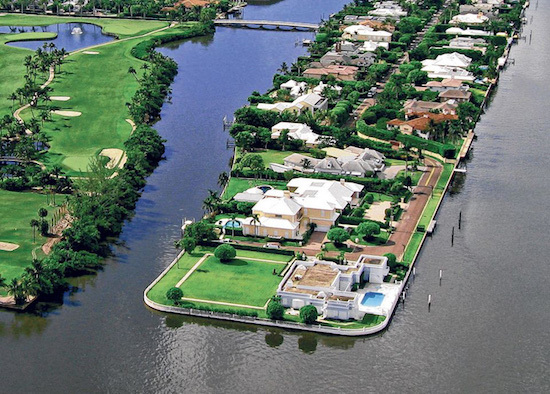 This is a lovely add-on (or standalone run), out to Everglades Island, where a quiet side street (Island Dr.) leads past some spectacular homes, with great views of the intracoastal. It’s a ~2.2 mile loop, using Island Rd. to Island Dr.